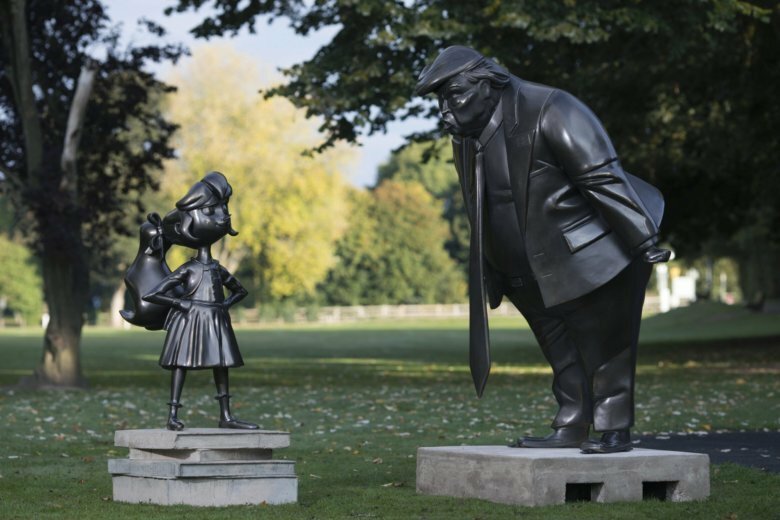 LONDON (AP) — A statue of President Donald Trump has been unveiled in an English village next to a statue of a fictional figure from one of Roald Dahl’s best-loved books. The two statues show Trump in a face-to-face confrontation with the character Matilda, whose story was published 30 years ago. The Roald Dahl Story Company had asked the British public what Matilda’s life would be like in 2018 and who is the figure the strong-willed girl would be most likely to stand up to. Trump was the people’s choice of the figure most likely to be in conflict with Matilda. The statues were unveiled in Great Missenden, 40 miles northwest of London, where Dahl lived for 36 years.